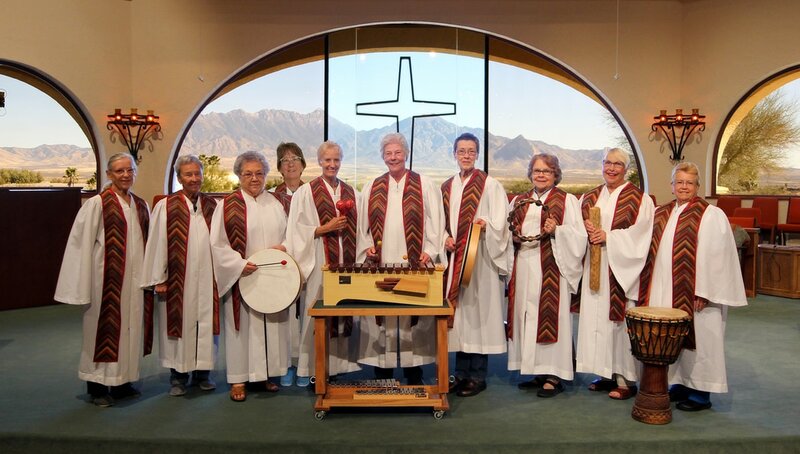 The Joyful Spirit Ensemble are a group of adults that meets Tuesday afternoons from 3:30-5:00. They play Orff instruments, which includes glockenspiels, xylophones, and metallophones in various sizes, and a variety of non-pitch percussion instruments such as claves, maracas, and guiro. Joan Dakin leads the group, which performs periodically as part of the Sunday services.